Take deep breaths. Breathe deeply from within your diaphragm 10 times, letting out each breath slowly. Light candles, day dream, relax your muscles. Take some “me” time. Whether it’s a few minutes each day or an hour a week, take time for YOU to relax, refresh and rejuvenate. Laugh more! Share your laughter with a few of your best friends when you host a relaxing Spa with your BeautiControl Independent Consultant. Detox your mind and your body with a BC Spa Detox Detoxifying Bath Soak. Meditate. No need to go on a retreat to a Spa – five minutes of peace is all it takes to reap the benefits of meditation. Refresh your tired eyes in as little as 5 minutes with Skinlogics® Refreshing Eye Pads. Lean back, relax and soothe your tired eyes. Tip: refrigerate them for an extra burst of freshness. Stay organized. Keep a daily schedule, clean out your garage, rearrange your closet, throw away old papers from your office. De-cluttering can really help to distress and prevent future headaches. Treat yourself to a quick manicure and hand massage with BC Spa Manicure. Drip cold water on your wrists. When stress hits, dropping a little cold water on your wrists and behind your earlobes can help to cool the major arteries right under the skin and can help calm your whole body. Keep a good book handy. Waiting in a long line? There’s no better way to make a line feel short than by reading your favorite author. Start a new hobby. Engaging in a creative activity — learning a new instrument, painting, singing, taking a craft class — can reduce tension and anxiety. Escape on a journey to ultimate tranquility with one mist of Tierra Azul Calming Fragrance. Your mind will come to ease with the soothing aromas of anise, white cinnamon, black currant blossom and vanilla. An infusion of nourishing botanicals with moisturizing complex leaves skin with a light, evolving scent that keeps you feeling indulged no matter where you are. Sip Green Tea. Green tea is a great source of L-Theanine, a chemical that helps relieve anger according to Drugs.com. Add some spring to your step with a relaxing pedicure. Rub your feet over a golf ball for a quick and easy foot massage. Follow with BC Spa Pedicure Cooling Foot Salve to help revitalize tired, achy feet. Keep your body working efficiently. Drink plenty of water, limit your alcohol intake and stay away from smoking. Find the sun. If it’s a sunny day, go outside for some quick stress relief. 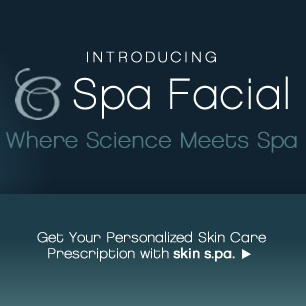 Rejuvenate your senses with a scientific blend of natural ingredients and aromatherapeutic essential oils. Spray BC Spa Detox Refreshing Mist on your face or body for instant refreshment. Contact your BeautiControl Independent Consultant to schedule a complimentary Spa with your friends in the comfort of your own home! You’ll enjoy one hour of total relaxation with treatments that leave your skin looking ﬂawless, your body feeling rejuvenated and your mind feeling de-stressed. Don’t forget to ask her about our famous Spa Neck Wraps! ← Are you adding years to your face with any of these beauty blunders?